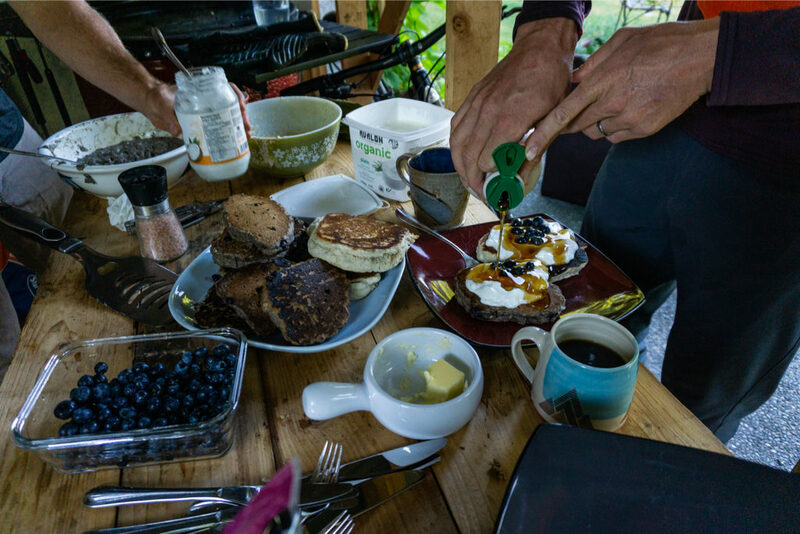 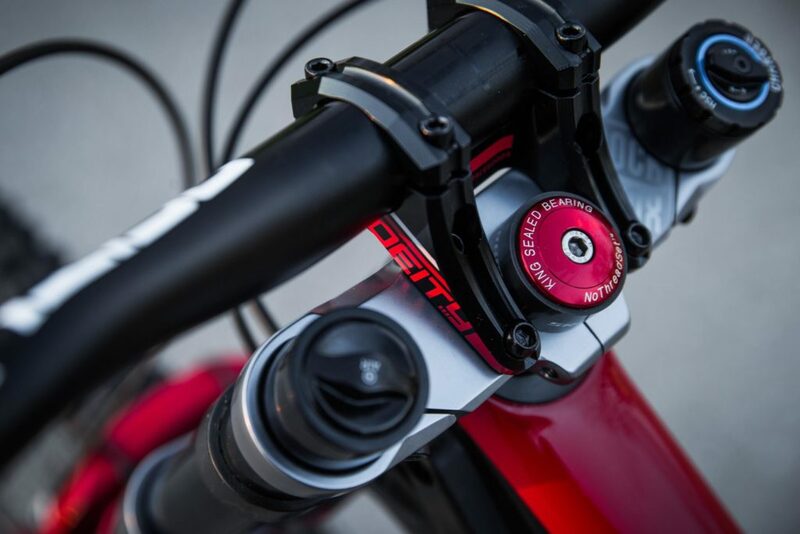 A few weeks back we showed you the team issue Process CR DL. 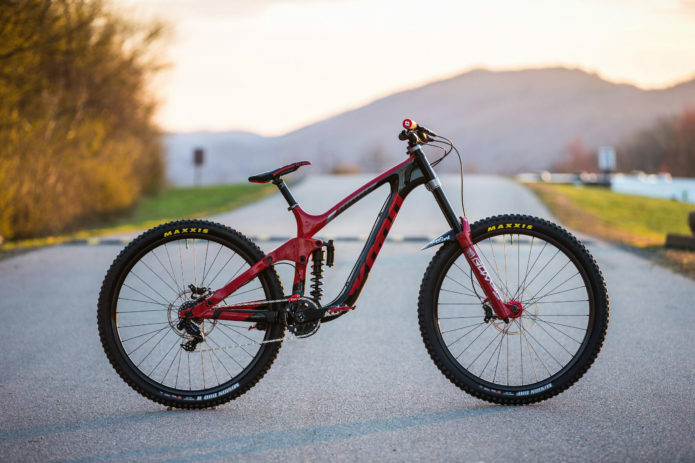 Well, today you get to see Miranda Miller‘s absolutely drool-worthy team issue Operator CR. 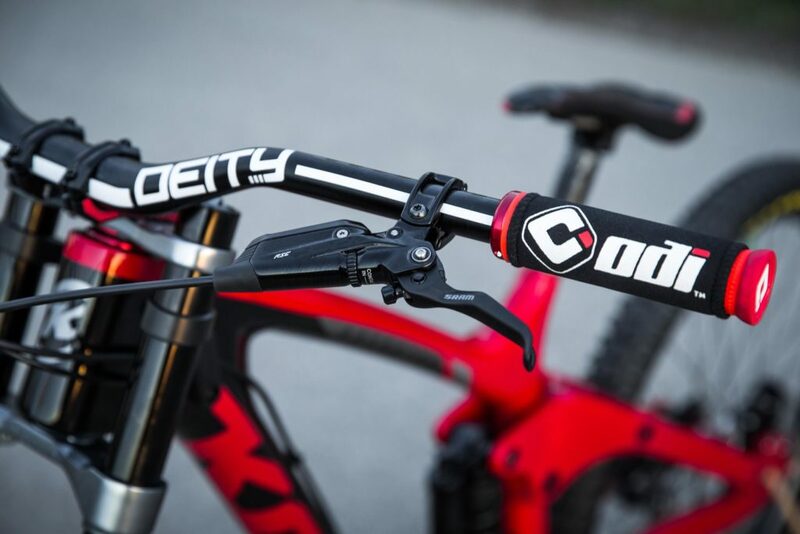 This is the build that Connor Fearon and Miranda will be racing this season, Connor at every round of the World Cup and Miranda at select DH events. 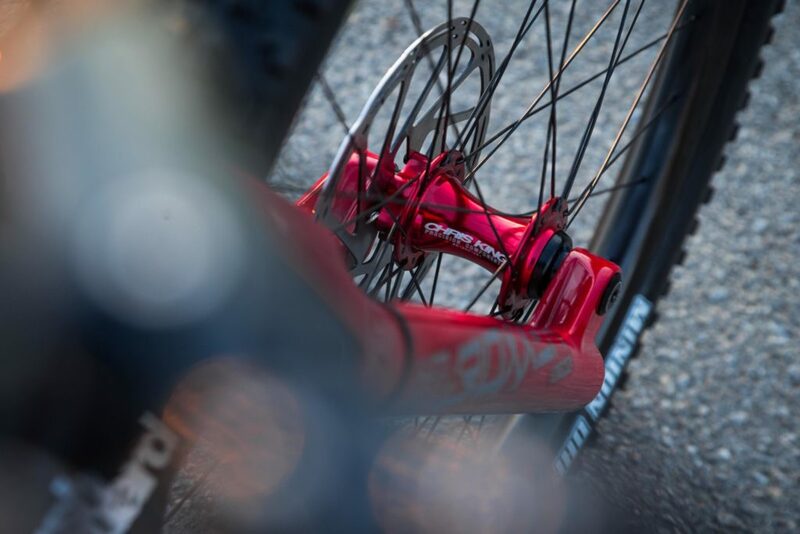 And speaking of select events, the bright Boxxer red Operator will be making it’s debut this weekend at the Pro GRT in Port Angeles underneath Miranda. 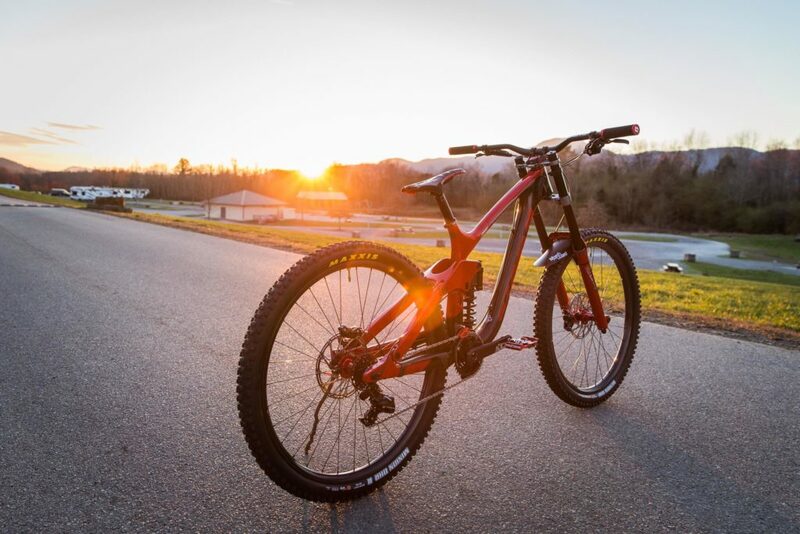 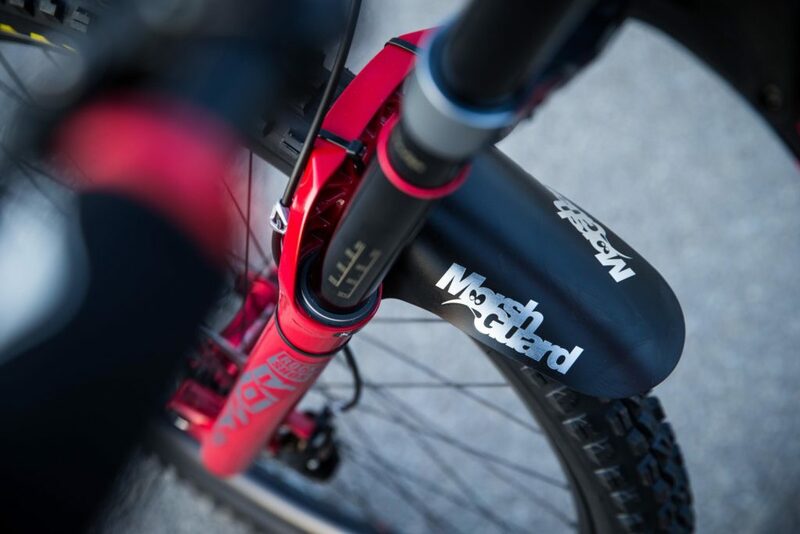 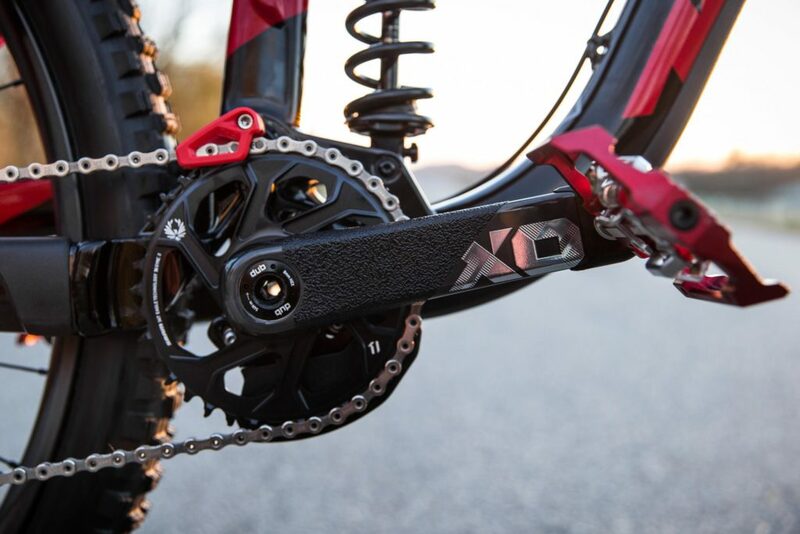 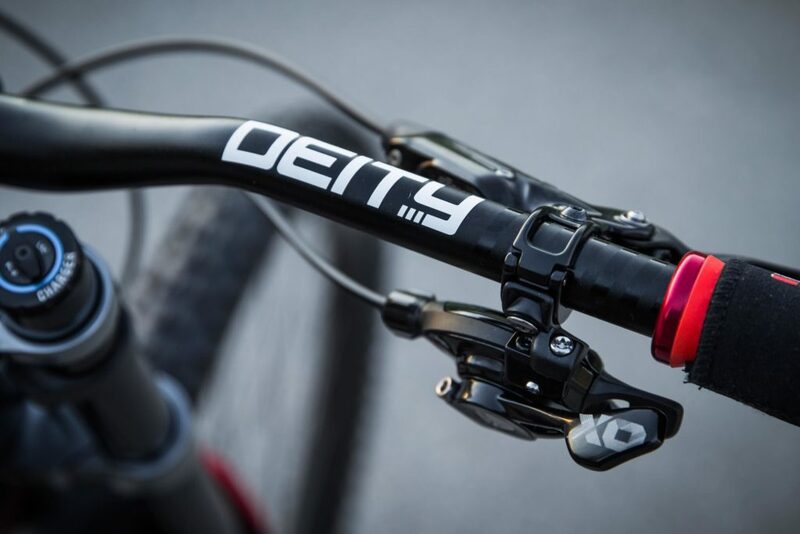 Things kick off with SRAM XO DH crankset, and HT pedals for power transfer. 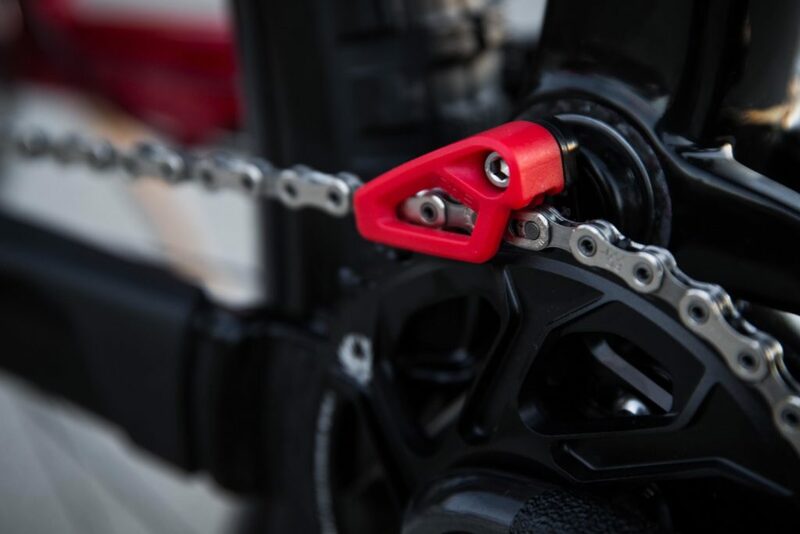 OneUp’s proven chain guide handles, well chain guide duties. 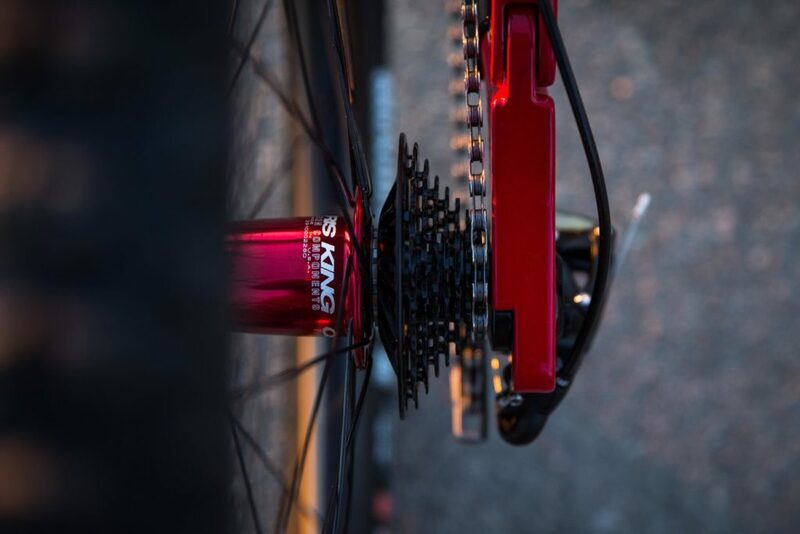 More SRAM XO DH love out the back. 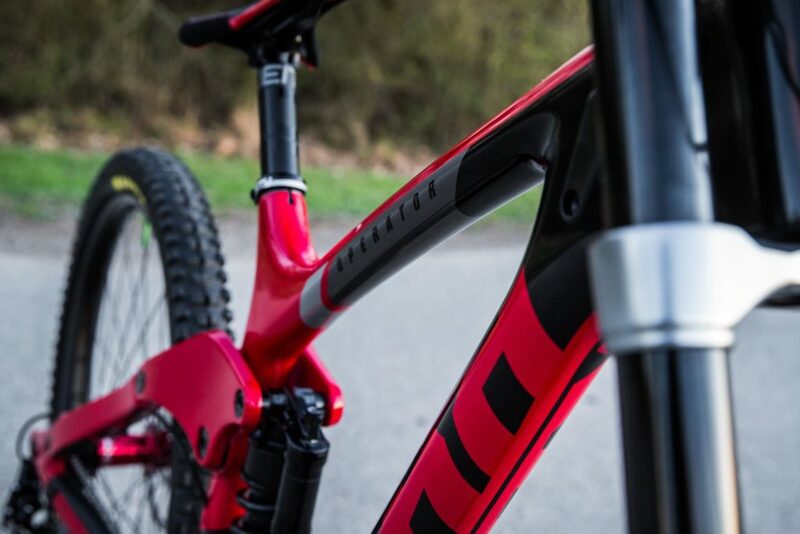 And a little up the front. 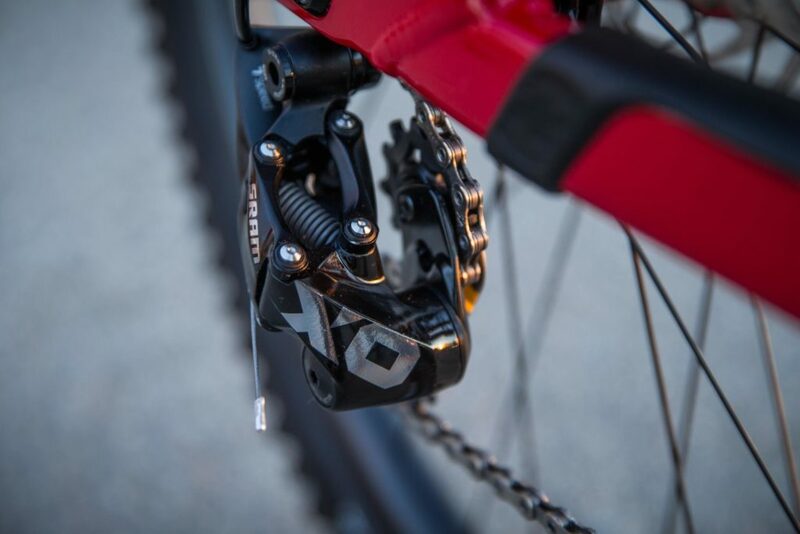 SRAM’s super cool XO DH rear cassette. 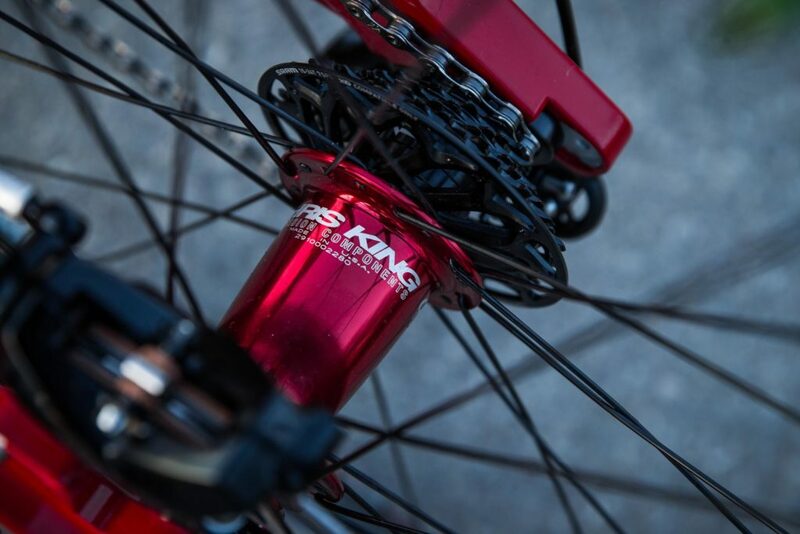 Chris King hubs are laced to We Are One hoops. 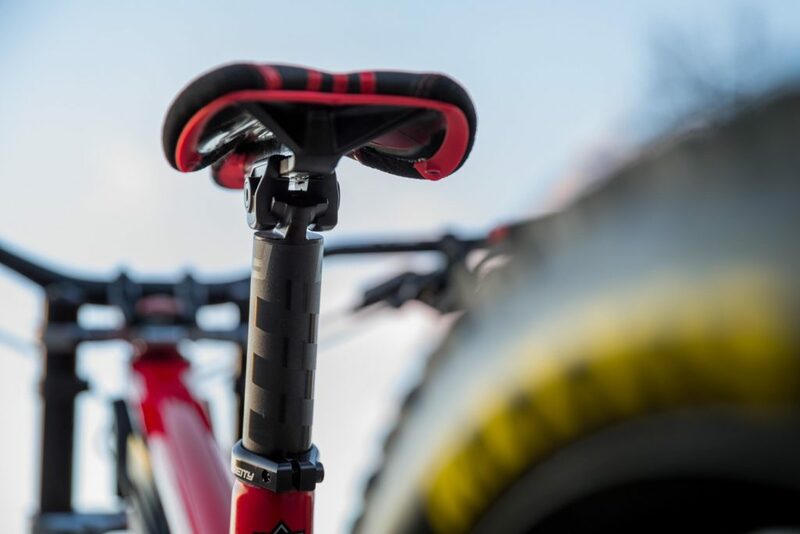 Rock Shox latest and greatest, the new Boxxer Ultimate. 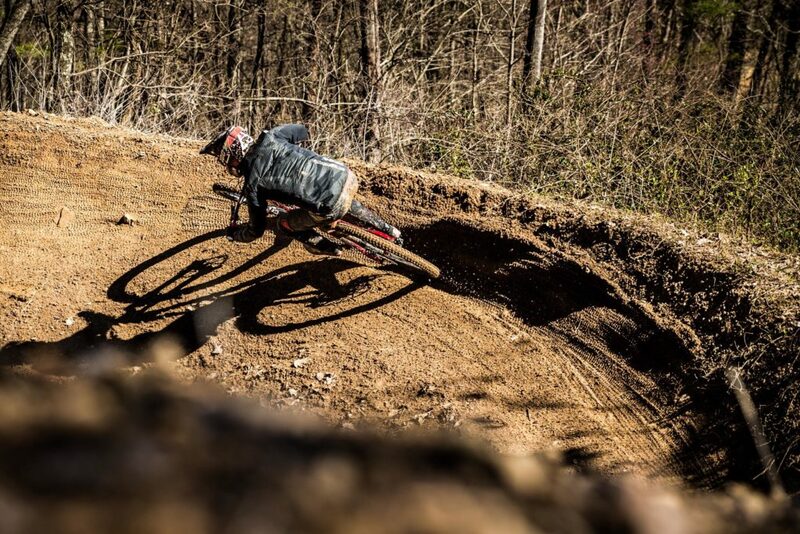 You can never have too much Chris King. 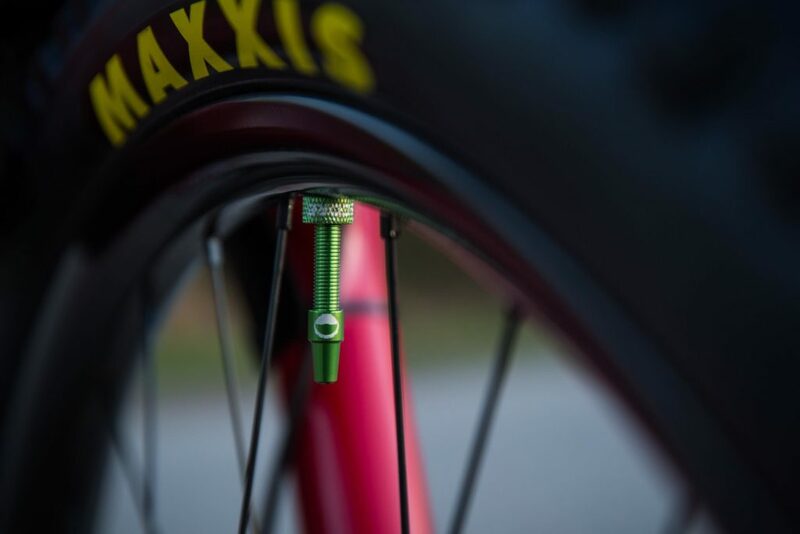 Green means go, or in this case it mean dont stop because of a flat. 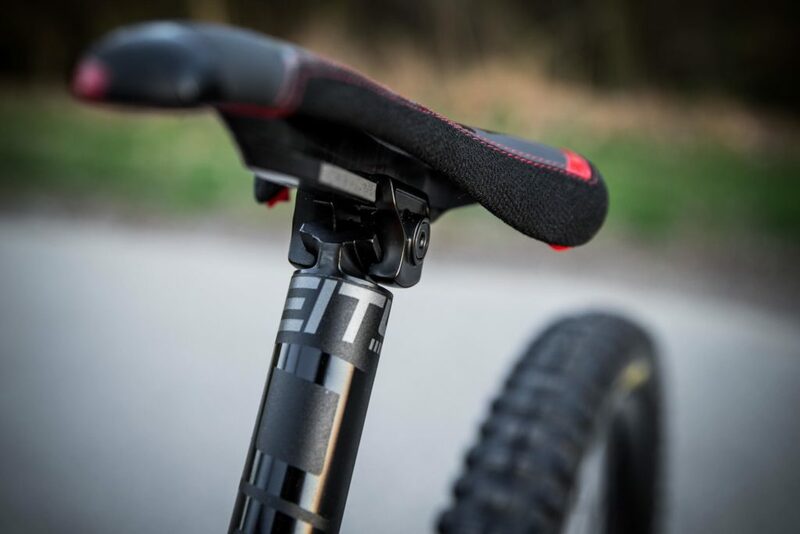 Cush Core tire inserts are standard on all the teams bikes, both DH and Enduro.